I’m not a fan of taking medications so I have decided to make some dietary adjustments to help alleviate some of the symptoms I have been experiencing. A friend suggested that I try eating gluten-free foods to see that will make a difference. So I am in the process of switching over and it is going to take some time because my family is not all that convinced about the changes I want to make. So far everyone is on board but I know it is going to be a challenge but I think they will come around eventually. Below is a recipe I found http://www.glutenfreeliving.com. 1. 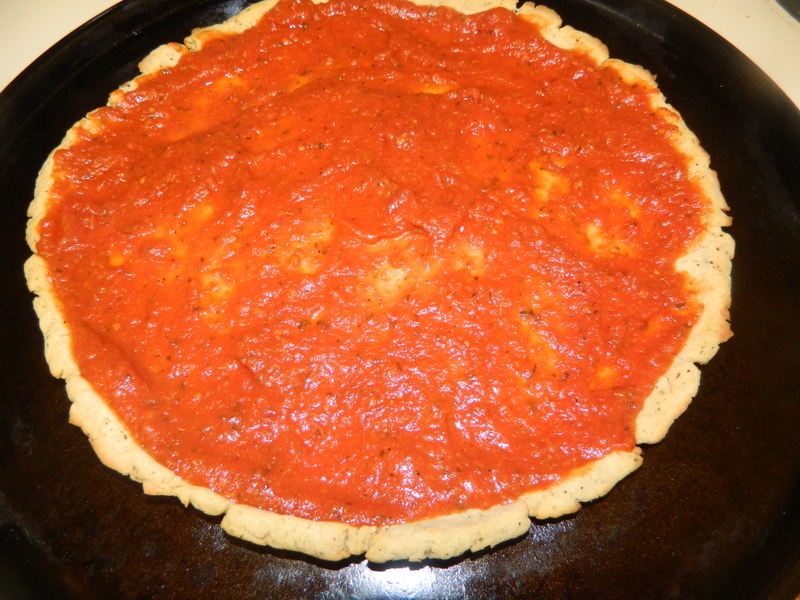 Make the pizza sauce (1 cup): In a small heavy saucepan, combine tomato sauce, 1 1/2 teaspoons Italian seasoning, fennel seeds, garlic powder, 1 teaspoon sugar and 1/4 teaspoon salt. Simmer, uncovered and stirring occasionally, for 15 minutes. Set aside. 2. Make the crust: Arrange oven racks in the bottom and middle positions of the oven. Preheat the oven to 400ºF. Grease (use shortening or butter, not oil or cooking spray) a 12-inch nonstick (gray, not black) pizza pan. Dissolve the yeast and 1 teaspoon of sugar in the warm milk for 5 minutes. 3.In a food processor, blend milk, rice flour, soy flour, tapioca flour, xanthan gum, 1 teaspoon Italian seasoning, 1/2 teaspoon salt, 2 teaspoons olive oil, cider vinegar and the yeast mixture, until the dough forms a ball. The dough will be very, very soft. (Or, blend in a medium bowl, using an electric mixer on low-speed, until well blended.) Put the dough in the center of the pizza pan. Liberally sprinkle rice flour onto the dough; then press the dough into the pan with your hands, continuing to dust the dough with flour to prevent it from sticking to your hands. At first, it will seem as though there is not enough dough to cover the pan, but don’t worry―it is just the right amount. 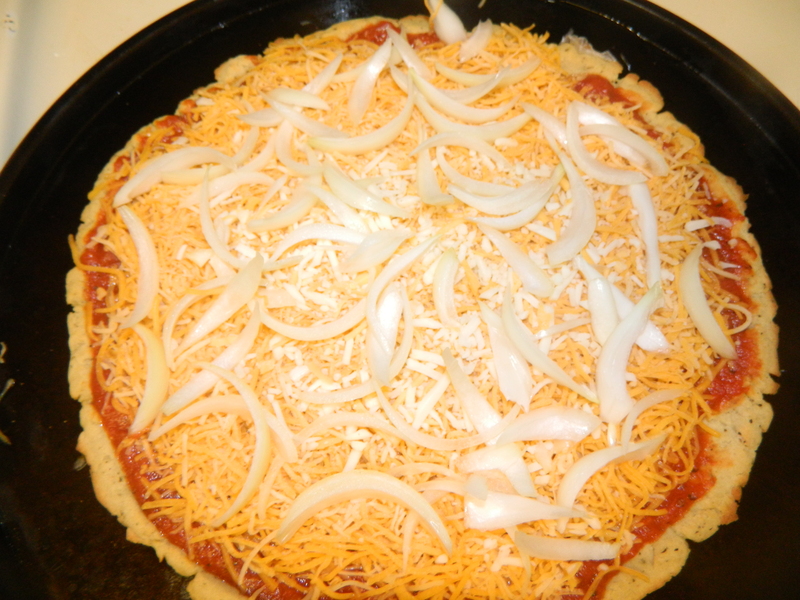 Make the edges thicker to contain the toppings, taking care to make the dough as smooth as possible. 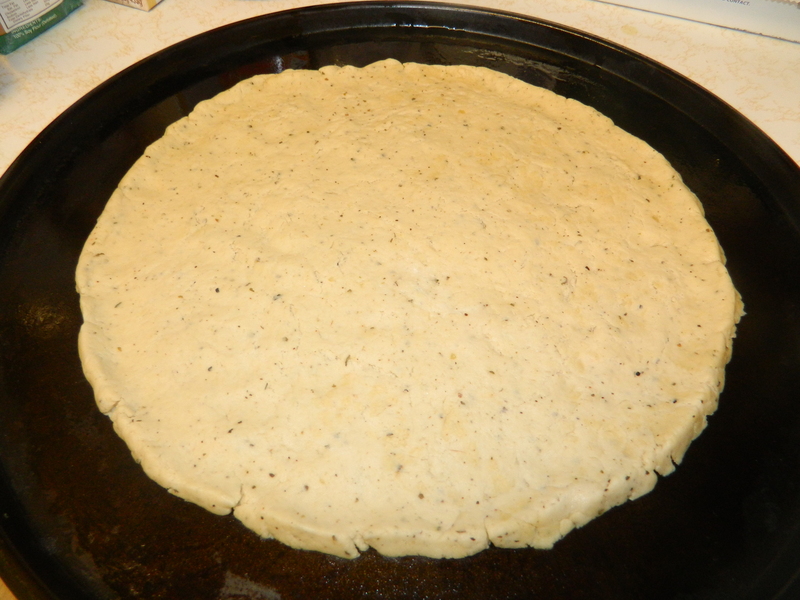 The smoother you can shape the dough, especially around the edges, the prettier the crust will be. Bake the pizza crust for 10 minutes on the bottom rack. 4. 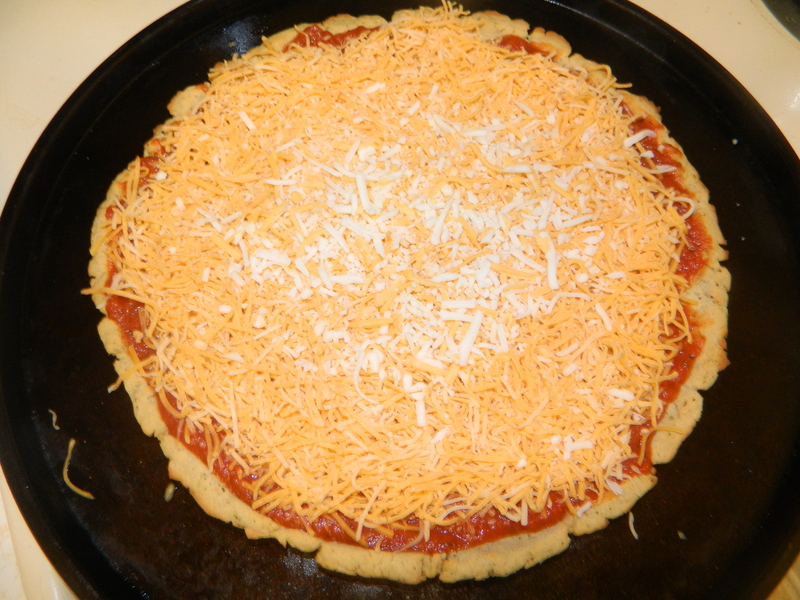 Remove the pizza crust from the oven and brush the top with the pizza sauce. Sprinkle with the cheese and arrange the vegetables on top. Return the pizza to the oven and bake on the middle rack until nicely browned, 15 to 20 minutes. Remove the pizza from the oven and cool on a wire rack for 5 minutes. 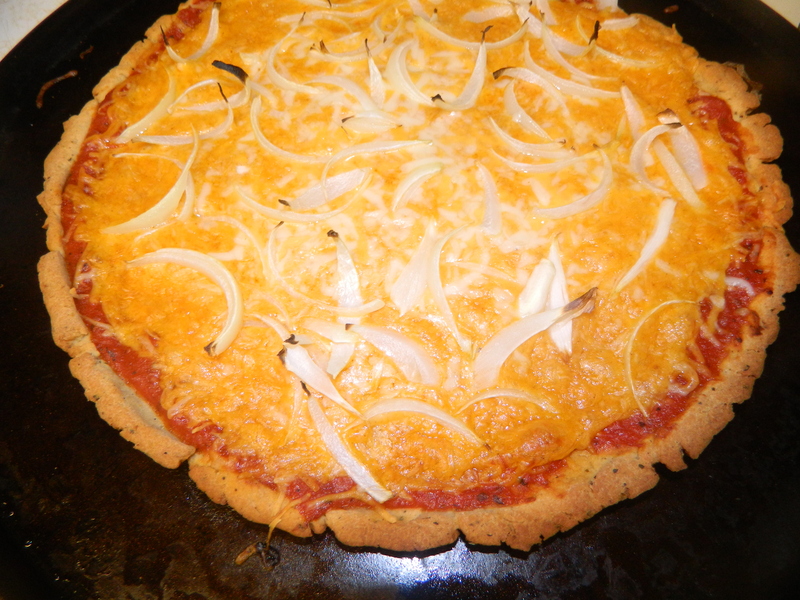 You may brush the crust edges with a little olive oil, if you like. Cut it into 6 slices and serve warm. onions, I didn’t want to over do it…my family can be very picky. Posted in Health/Fitness, Recipes and tagged Family, gluten free, healthy eating habit, pizza, Sunday dinners. Bookmark the permalink. Growing up I can clearly remember my grandmother cooking up a storm for our Sunday dinners. Grandma had a thing about food, she always made more than we needed intentionally. I once asked her and she said that it was for those unannounced visitors. She was the kind of person who went out of her way to make things better for others. She collected our gently used clothes, washed them and dropped them off for some of our neighbors who were less fortunate. At first I thought it was strange that she would only do her drop offs when it was dark. After a while, it made perfect sense to me. She didn’t want to make our neighbors feel bad and she didn’t want to be thanked for what she did. She was a humble, sweet and Godly woman and I will forever be grateful for the time we spent together. She taught me some great lessons before her untimely death. One that will always stay with me, is the importance of family time. Our family time was very important to grandma. She made sure that everyone was home for dinner every night and that we had a family Bible study before bedtime. In fact, she learned how to read and write just so she could read the Bible. I also love that she instilled in me the joy of learning. A typical Sunday in my grandparents home started around 6 am. We would all get up, get cleaned up, eat breakfast and then get ready for service at the Kingdom Hall. there was never an option to stay home from service, even if you were sick. I hated it at times because I didn’t like wearing matching outfits with my older sister (yes, they made us wear matching outfits…apparently it was cute to them). After the service, we would eat lunch and then go out and preach for several hours. Afterwards we would go home and change into our day clothes. The boys/men would do whatever they did while the girls/women spend their time preparing dinner. I loved the planning and cooking phrase but not the clean up phase…for obvious reasons. Grandma didn’t have to inform the men that dinner was ready because they always seemed to know when it was ready. We would sit down in a large group and eat. The young ones never spoke, but instead we ate our meals and listened to the adults as they tell stories and talk about all sorts of things (I learned a lot about my family during these family dinners). At the end, us kids would collect all the dishes and clean up without being asked to do so. Grandma would have somehow set aside food for those unplanned guests before she served dinner. I don’t know when she did it but she always made sure there was some left overs in the house. Now that I am all grown up, I try to incorporate some of what I learned from my grandma. My kids and I do our best to have family time everyday. It sometimes comes in the form of a game night, movie, hiking, story time (me reading, singing and dancing for them at bed time), Bible studies and one-on-one dates with each child. I love doing things like that because I know that one day they will look back and see that their mom made an effort to connect with them. Last night’s dinner was more for the munchkins. They had homemade pizza and homemade sweet potato fries with cranberry juice while I had filet mignon with sautéed kale and steamed sweet potatoes. I didn’t serve them meat because they are not big fans of meat. I usually don’t eat meat but I do once in a while and last night was like a treat. We ended our night with a short Bible study, me singing two Christmas songs and one lullaby, a ton of kisses and a prayer. Below a picture of their pizza ( I didn’t take a picture of my dinner). 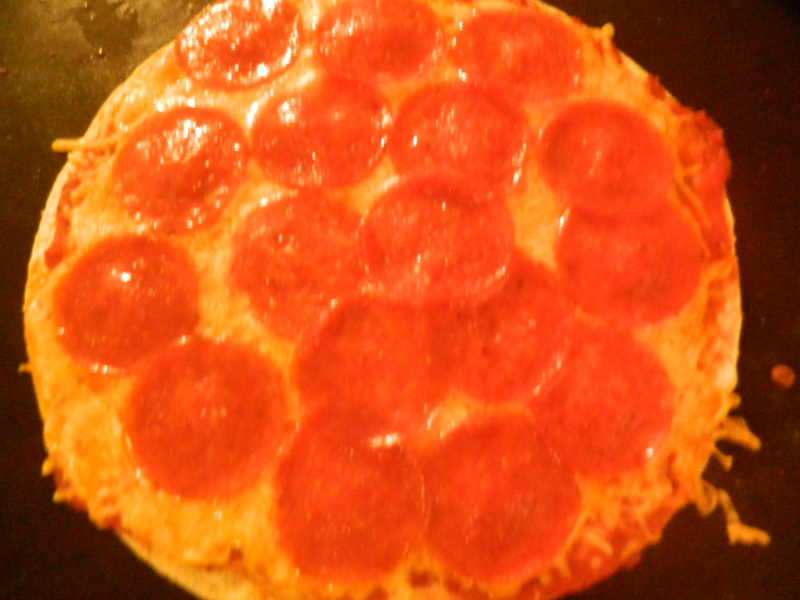 place one medium tortilla one a baking sheet, spread about 2 tablespoons of pizza sauce, sprinkle the cheese and top it off with the pepperoni. Bake for about 5 minutes at 375 degrees. Pull and let it cool off before cutting. Peel and cut up the potato, add the dry ingredients to the oil and then season the potatoes with it. Place seasoned potatoes in the heated oven (375 degrees) and bake for about 25 to 30 minutes. Mine came out soft, but if you want yours to be crunchy then keep yours in the oven for another 10 minutes or so. I forgot to take a picture of the fries, a certain toddler was cranky and tired of waiting on a her dinner so I was only able to take one picture and that is the one above. Posted in Parenting, Recipes and tagged Bible study, cranberry juice, family time, filet mignon, hiking, kale, movies, pizza, stories, Sunday dinnerss, sweet potatoes. Bookmark the permalink.